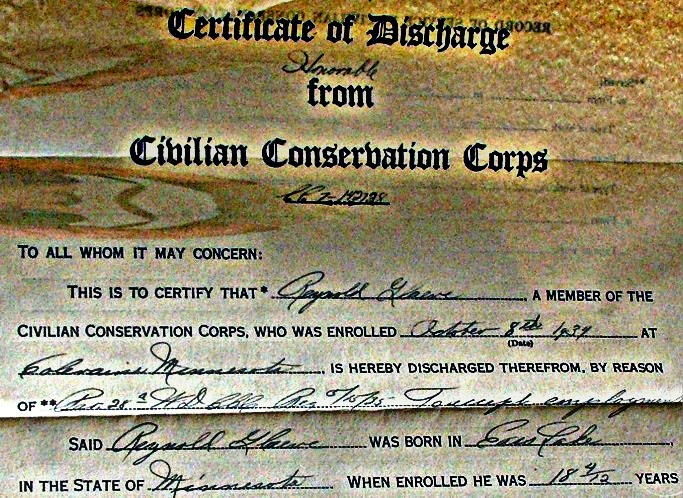 We found Dad's CCC discharge papers which significantly change some ot our original assumptions gleaned from conversations and written material available at the time. Also found were some of his additional written memories which introduce some of his friends and elaborate on his camp and work experiences. In a public address on March 21, 1933, the day the bill was sent to the Congress, Roosevelt called the program by its popular name, the Civilian Conservation Corps. He also formally defined its mission; it was a temporary program designed to put people back to work. 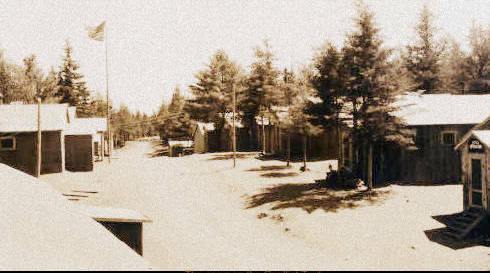 Its purpose was to provide employment on conservation projects—in forestry, erosion and flood control, and parks—for needy, jobless young men. Congress approved the concept but requested several changes, which were made before a revised bill was sent back on March 27, 1933. On March 31, ten days after the bill was first sent to Congress, lawmakers passed the Emergency Conservation Work Act. 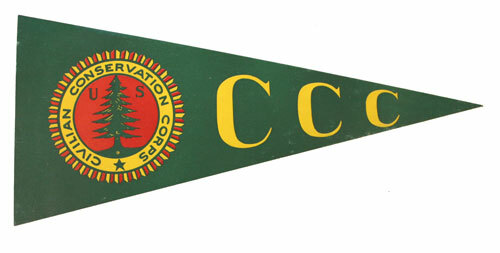 The act appropriated funds for the “dual purpose of relieving unemployment and promoting conservation of natural resources.” Only 33 days after FDR took office, the first enrollees were accepted into the CCC’s. 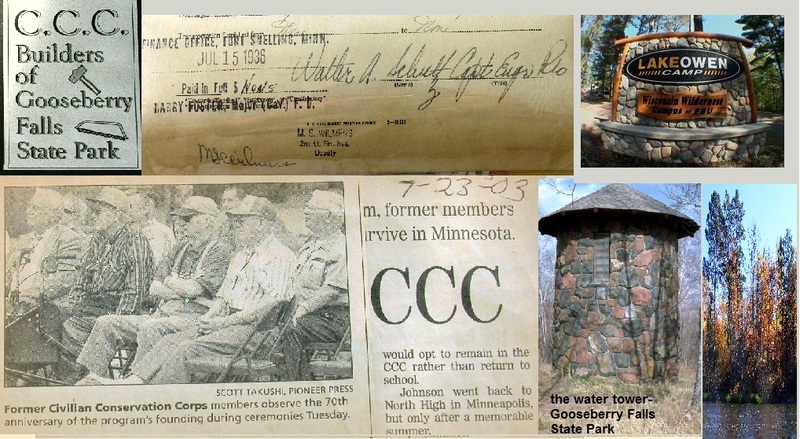 ﻿﻿The Minnesota District of the Civilian Conservation Corp. (CCC) was established April 5, 1933 - soon after the Emergency Conservation Work Act was passed by Congress. To qualify for CCC work, applicants had to be U.S. citizens between 17 and 23 years of age, unmarried, unemployed, physically and mentally competent, and must not have served more than 18 months in the CCC previously. Men convicted of a crime and serving a sentence, or on parole or probation were disqualified. For administrative purposes, army leaders divided Minnesota into four sub-districts. 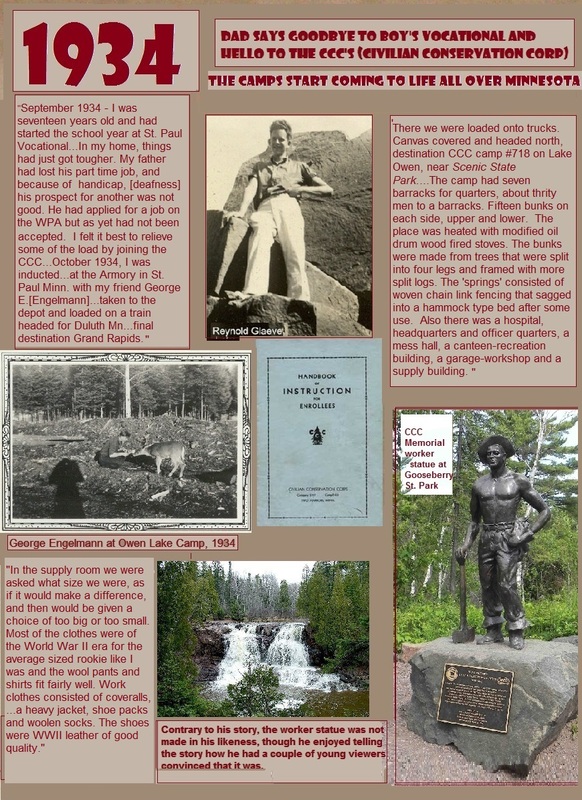 Three of these were in forest areas; the East Superior Sub-district headquartered in Two Harbors, the International Falls Sub-district headquartered in Hibbing and the Chippewa Sub-district headquartered in Cass Lake. The Southeastern Sub-district, in Rochester was in an area of widespread soil erosion. 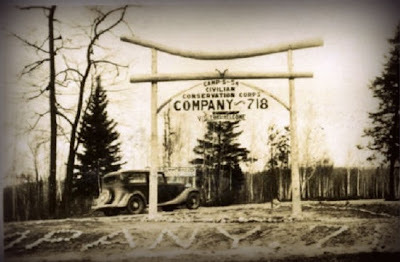 This camp was on the Gunflint Trail but all the up-north camps were similar in size and lay-out. The company number was assigned by the federal government. A company might have more than one camp. 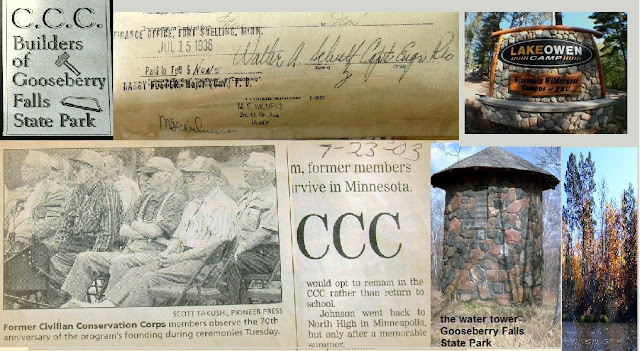 The majority of camps in Minnesota were national or state forest camps, state park camps or soil conservation service camps. 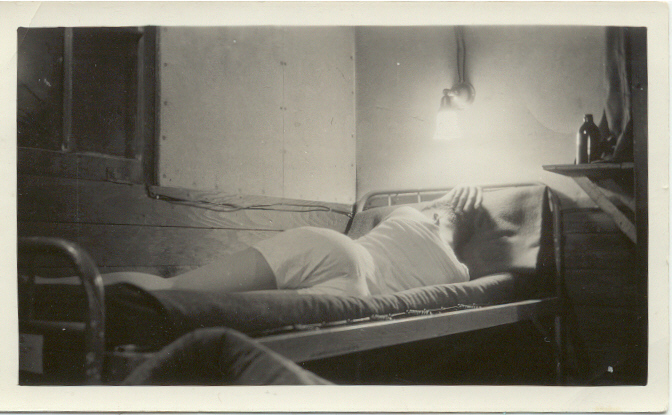 "The shoes we were issued were WWII leather of good quality, with very definite break-in instructions. 'First go stand in the lake until the leather is really soaked and then go walk them dry.' Very good advice, they formed to the shape of my feet and were very comfortable. ....We were given toiletries; razor, tooth brush, handkerchiefs, etc. " "Breakfast was at six and at seven thirty we were loaded up and taken to the site of our activity for the day. Our transportation was a truck with a 'Prairie Schooner' type canvas cover, closed in front and open in the rear that allowed exhaust fumes to be drawn in and mix with the air we breathed. There were several of the men affected, I was not one of them. After what seemed like a very long distance, the truck stopped and we were unloaded and lined up in double file. In this manner our permanent work partner was chosen. 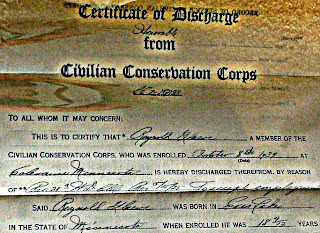 This scientific method somehow made my partner a man named George Holm[e]s, an acquaintance who at one time had lived just around my first home in St. Paul". "We were assigned to an area fifty feet wide and one hundred yards long. We were to clean out all the under brush and all fallen or dead trees and to carry or drag every thing out to the road and make a pile for future burning, this was done during the safer (for burning) winter season. " underbrush, one morning Emil called us aside and told us [we] were to be assigned to him to cut all trees on a road project, and he issued us two new double bitted axes, and a two man saw. We had just been given a prized appointment it seemed as our tools were marked to be used only by us, and the shop gang sharpened them every night, we had really arrived, thanks to George. 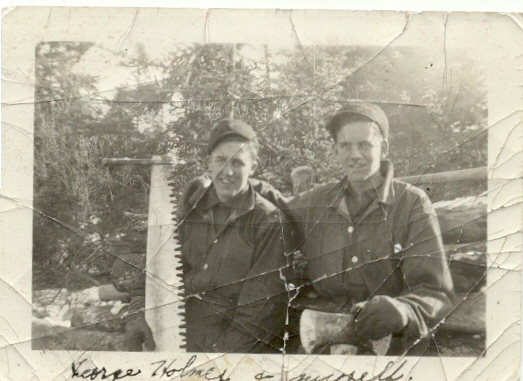 Our new job was to remove all trees within the boundary marked off by the gang surveying the new road." We have some information on George Engelmann but any info on Emil Kuta or George Holmes or others serving in the #718 would be appreciated. especially for the Minnesota camps.